Nicesearches.com, also known as Nicesearches redirect, is a browser hijacker that can alter your web browser settings. Its main purpose is to make money for its creators by promoting various websites. That is why the hijacker not only modifies your preferences, but also inserts ads into your browsers, causes redirects, and more. It does not matter which browser you use, because the hijacker is compatible with all of them. If you want to eliminate its symptoms, you will have to erase Nicesearches.com completely. We advise that you do that as soon as you can. As it has already been mentioned, the hijacker can alter your browser settings without your approval. 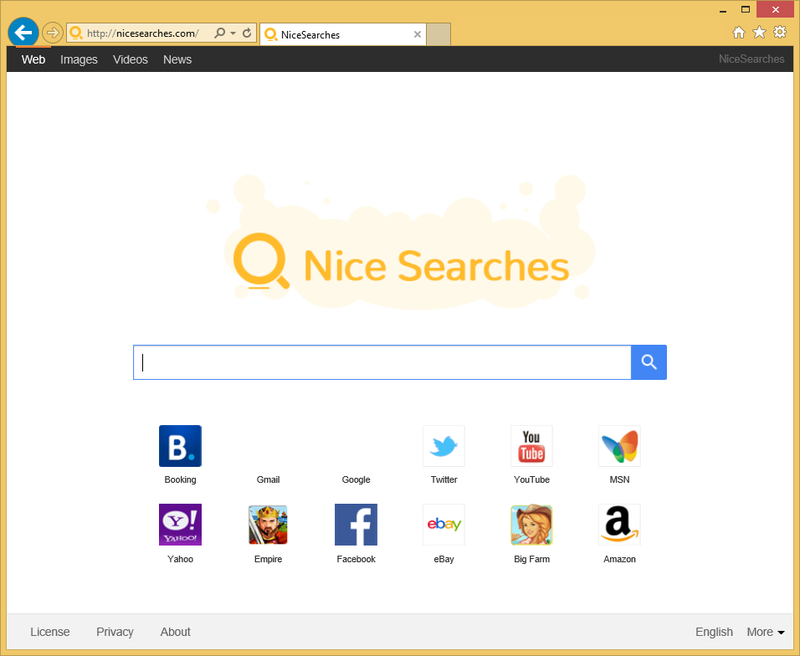 It can switch your home page and default search provider to Nicesearches.com. The site will appear on your screen each time that you open your browser. It may not look that much different from other portals that provide search services, but if you make use of it, you will notice that you get results that are filled with advertising data. This is not the most convenient or safe way to look for information online. Another annoying aspect of the hijacker is that it injects ads into other pages that you visit as well. The pop-ups, banners, coupons, links, and other ads show up on all websites regardless of the content. We strongly recommend that you do not click on these adverts, because they may be fake and lead you to corrupted sites. If you do not wish to risk infecting your PC or falling for a different type of scam, you should not click on these ads. Moreover, you should also be cautious with the pages that you get redirected to by the hijacker, because they may contain various scams as well. In order to eliminate the unreliable data from your browsers, you will have to delete Nicesearches.com. You can remove Nicesearches.com from your Internet browsers in one of two ways: manually or automatically. If you choose manual Nicesearches.com removal option, you will have to uninstall the program that arrived with the hijacker and fix your browser preferences. The removal guide presented below the article can help you with both of these tasks. If, on the other hand, you choose the more efficient solution, i.e. to terminate Nicesearches.com automatically, you will need to implement the anti-malware tool, which you can download from our page. It will scan your computer, detect all threats, and eliminate Nicesearches.com completely. It will also erase other unwanted files and programs, and keep your PC safeguarded at all times.